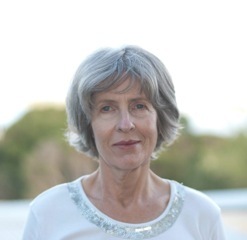 Australia Counselling member Jill Henry is a therapist who is passionate about helping her clients grow and develop greater resilience through the therapeutic relationship. She draws on psychodynamic models and loves to work deeply with her clients to bring about sustainable long term change. My practice is both in Lane Cove and in Bondi Junction, Sydney. I have been working in rooms in Bondi Junction with colleagues at Eastern Suburbs Counselling Services since early 2003. We had all worked together in a crisis facility and all trained in the same community counselling service so it suited us to set up rooms together but as independent practitioners. We found that we tended to get clients aged between 25 and 45 many of whom had come to live in Sydney from other countries or other states or cities and so were experiencing worry and displacement as well as relationship problems. As our referral base grew I saw clients who were stressed, anxious, or struggling with challenging anger and life problems all of which were related to relationships in one way or another. Late last year I decided to start seeing clients in Lane Cove as well as in Bondi Junction as it is closer to home and suits some of my clients who live in the Eastern Suburbs but work on the lower North Shore. I see individuals and couples of all ages and I offer both short term and long term psychodynamic counselling or psychotherapy depending on what the clients want and need. I had an ill defined yearning to work in counselling and psychotherapy from the time I left school but was persuaded not to study psychology at that point and so I pursued study in history and sociology and returned to study psychology when my children were young. I ended up working in adult education until I immigrated in 1988 and started a new career in Australia in academic book publishing. This was rewarding and absorbing until what I perceived as a personal tragedy motivated me to turn to what I’d always wanted to do: study counselling. It was during my post basic training that I became passionate about psychotherapy and could see the significant changes and growth of internal resilience in clients who stuck at regular psychotherapy. Being able to learn the theory and practice of working with clients on a long term basis through a community counselling service was a life changing experience, and fueled my desire to work with clients at a deeper level rather than just providing tools for changing negative thought patterns. As a requirement of practising psychodynamic therapy with clients one is expected to undergo one’s own therapy. As my experience of psychotherapy was so powerful I felt even more motivated to work in this modality as I felt that I was then able to take clients where I had been myself. I believe people change both through the desire to grow and through the relationship with the therapist. As a result of my study and experience I believe that one’s earliest relationships impact on whether one flourishes or not, and so it makes sense for change to take place within another kind of relationship. Clients seeking to try therapy will have a different kind of relationship, or a different experience of a relationship, during which they can explore different ways of being with another person. In therapy the personal stakes are not so high and largely judgement is absent and clients are not having to worry about hurting the feelings of those close to them. When clients are able to express all their feelings and in particular anger in a confidential non-judgemental relationship without fear of the therapist either collapsing or retaliating the release of pent up, swallowed feelings can pave the way for freeing up all the psychological resources an individual has. I find in my practice that relationships – with family, friends, intimate partners, or at work – tend to underpin most problems, so whether we are working with anxiety, stress, depression, sadness, or just indefinable worry and distress these struggles are all in some way sheeted home to relationship problems even if it is the relationship one has with oneself rather than others. I therefore work as a psychodynamic psychotherapist with a relational or interpersonal focus. In working psychodynamically I try and help my clients become aware of their unconscious thoughts as well as those that are conscious. This is done more effectively when my relationship with the client is developing or has developed, so that it feels safe enough to explore all of these parts that may have been buried. Furthermore, I am influenced by Fonagy’s work on mentalisation and affect regulation ie the ability to regulate one’s feelings and emotions. In being influenced by mentalisation I help people think about what they are feeling rather than being swamped by their feelings. A client can expect to enter a supportive, welcoming and professional space in which they can start to tell their story. This provides an opportunity to speak openly about what he or she is experiencing and to be listened to empathically, respectfully, and without judgment. Receiving feedback and understanding will almost certainly bring some relief. In order for me and the client to get a fuller picture I will help prompt the exploration of feelings and thoughts by my interest and encourage clients to clarify their experiences with questions. As a sometimes book publisher I still get much pleasure from reading and learning new things and rediscovering old ones. This comes mostly from non-fiction although I retain a deep love of literature. Listening to music of one sort or another is a passion of mine and I spend an increasing amount of time doing this. Walking or gardening in the bush is a more recent love of mine and it brings me a deep sense of satisfaction and enjoyment. To contact Jill, please visit her Australia Counselling profile or website.